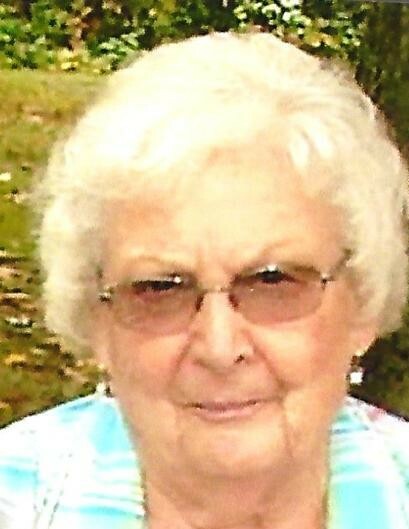 Carol V. Beard, age 87 of 207 State Highway 67 N., Sycamore, Ohio died at 6:07am Thursday, November 8, 2018 at Wyandot Memorial Hospital, Upper Sandusky, OH. She was born on April 30, 1931 in Wyandot County, Ohio to Carl and Helen (Kollar) Miller. She married Dale Beard on January 11, 1952 and he died December 2, 2013. Surviving are a daughter, Sandra (John) Lofland, Sycamore, Ohio, three granddaughters, Heidi (Bruce) Rowe, Hana (Russell) Wengerd and Halle (Tom) Aurand. Also surviving are two great-grandchildren, Madison Wengerd and Addison Rowe, and a sister, Jackie Dahlgren, Stillwater, Oklahoma. Carol was an enrolled agent to practice before the Internal Revenue Service and was currently owner of Income Tax and Accounting in Sycamore for 40 years. She was a 1949 graduate of Sycamore High School and attended Bowling Green State University. She was a member of the Sycamore United Church of Christ, member of the Indian Mill Antique Association, member of the Mohawk Historical Society, was a member of the National Association of Enrolled Agents, was a former clerk for Sycamore Township for 30 years, was the former Village of Sycamore Income Tax Administrator, was a former member of the Sycamore Little Theatre Club and also former member of the Upper Sandusky Elks Emblem Club. For hobbies Carol loved to go out to eat, mow yard, help her husband Dale on the family farm, go to sporting and social events that her grandchildren and great grandchildren were involved in. She was a great historian and knew a lot about the history of Wyandot County. She loved to play cards and at one time belonged to a local card club. She also loved to watch the Cleveland Indians and the Ohio State Buckeyes. Funeral services for Carol will be held on Wed. November 14, 2018 at 11am at the Walton-Moore Funeral Home, Sycamore, OH with the Rev. Paul Fraser officiating. Burial will follow at Pleasant View Cemetery, Sycamore. Visitation will be held on Tuesday, November 13, 2018 from 4-8pm at the Walton-Moore Funeral Home. Memorial contributions can be made to Indian Mill Antique Association, Mohawk Historical Society or the donor's choice. Online expressions of sympathy can be made at waltonmoorefuneralhome.com.